Monday Dieter, this blog, started as a singular place to host my years of living life with body dysmorphia, disordered eating & emotional eating. When the 1 year anniversary of this blog approached I was overwhelmed by the way it had grown. When I decided to buy this word-press and document my own personal journey I didn’t know if even 10 people would want to read what I had to say, let alone close to 15,000. The day of the blog’s one year anniversary I reflected on the help and happiness this blog has given me. I wanted to make sure this blog was doing that for others, not just serving as a mere spec in the World Wide Web. 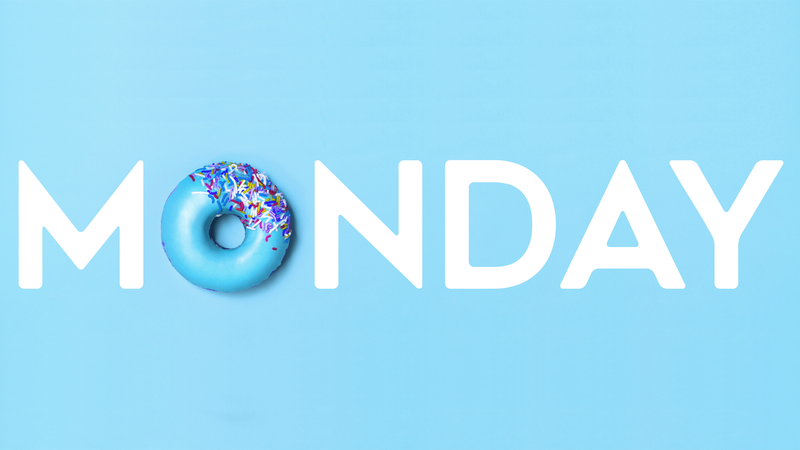 So this past weekend, I asked a couple of my close family, friends and avid readers to come over to my house for a couple hours to talk about the Monday Dieter blog…a glorified focus group if you will. (Disclaimer: If my house wasn’t so small I would have invited all 15,000 of you). To get ready, the day before my husband helped me to put together this little gathering. And by help I mean he followed my around with a cart in Walmart as I rattled off my vision for the afternoon. As always, I had a vision. I felt excited. All the refreshments served as part of the theme of Monday Dieter. Balance. The weather was projected to be beautiful so I knew the natural sunlight and Vitamin D would elevate the vibe. However, I woke up Sunday morning, the day of my meeting, and I was extremely nervous. Was this a stupid idea? I wondered to myself. More importantly, I didn’t want to waste anyone’s time for my silly passion project. Was I doing that? I questioned to myself. After all the gals arrived, we began. We sat in a large circle and began to discuss the Monday Dieter blog. I felt like I was Jean Nedetch in 1961. She’s the founder of Weight Watchers and hosted the first ever Weight Watchers meeting in her living room. I felt like I was hosting this same meeting in my home 55 years later except instead of talking about food and then feelings, we talked about feelings, then food. I was immediately immersed in what everyone had to say. They gave me amazing suggestions in how to grow the blog, features to add and content to post. I quickly scribbled on a pad so I wouldn’t forget any of their amazing ideas. The conversation flowed naturally and I didn’t think it was possible to have so many “a ha moments” in 90 minutes. But everything someone said enlightened me. I once read that isolation is one of the primary sources of human suffering. That’s why I am so passionate to grow Monday Dieter. This blog has turned into a place where I want to hear everyone’s story, thoughts and feelings as much as they may want to hear mine. We all think marketing our perfections to the world will bring us the happiness we crave. It turns out that being vulnerable about our imperfections actually brings you the popularity you dreamed of in high school or when you joined a sorority in college. The women who joined me at my house reiterated that. They gave me a sense of relief that we’re all in this together. Each one of us is struggling with an inner voice of doubt and self hate. Sitting in a circle, talking about Monday Dieter, gave each of us a chance to connect with our mean inner voice and verbalize through our conversations what that voice says to us daily.The voice that talks to us each morning in the mirror, every time we step on a scale, in dressing rooms, when we look at pictures and when we compare ourselves to others. This voice is the most toxic relationship we have in our lives. It’s the most toxic because we sit alone with it so no one can witness the abuse it places on us daily. I noted the amazing power of empathy yesterday. I could actually feel the empathy from each woman in the room as another spoke. In a nutshell, yesterday was about active listening. It’s was about understanding, smiling to show acknowledgement. It’s was about being non judgmental. How often can you say that in a room full of 13 women? Monday dieter started the day I learned that eating is not the problem, it’s the symptom of something deeper. And I believe this community is the best healing for this symptoms. I’d like to thank everyone for reading this blog each week. Empathizing. Sharing. Commenting. Emailing me. Texting me. Facebook messaging me. Stopping me at parties. And thanks to this group of gals below…the content coming your way will only seek to make Monday Dieter an even bigger place of refuge. The bottom line is is that truly loving ourselves and having a healthy relationship with weight will always be a journey, not a destination. We can make our world a better place, one Oreo at a time. PS…DONNA DOWD…. I HAVE NO IDEA WHY YOU AREN’T IN THIS PICTURE! So thankful to be there yesterday and get the chance to be inspired by you daily. I love this post! It is well-written and inspiring. Monday Dieter has an incredibly strong voice, and I was happy to be there yesterday. Love you. Seems like your first meeting was a success! Great idea…sorry I missed it! Previous PostPrevious Do you want to get in your skinny jeans? Here’s how! !